A Maine Vacation with a view of Ogunquit Beach and direct access to Maine’s Scenic Marginal Way. If you love to eat, you came to the right place! Maine dining is world famous. 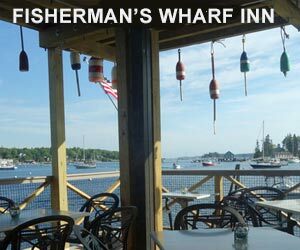 From roadside seafood stands, clam shacks and lobster pounds to fine inn dining we invite you to share our favorite Maine Restaurants. John Lane’s Ogunquit Playhouse is a Maine legend and just one of dozens of one-of-a-kind attractions. Visit Maine Lighthouses, historic Maine Forts and sites, Ogunquit’s famous Marginal Way Ocean Walk, York’s Wild Kingdom– New England’s only Zoo and Amusement Park, Scarborough Downs Racing, Oxford Casino, Old Orchard Beach, Maine Fairs, and much more. Find the top Maine Family Attractions. Maine living is spending summer in your own lakefront home or seaside cottage. Relax in a remote Maine mountain get-away or downeast village home. Explore our Maine Real Estate section for suggested Maine Realtors, Real Estate Agents and local information about taxes, history and current MLS offerings. The ultimate Maine vacation may be a stay at a wonderful Maine Inn. 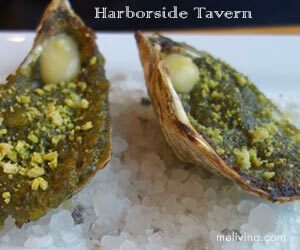 A Bar Harbor area Maine B&B or a vacation at a southern Maine area inn will revitalize and refresh you. Lodging Accommodations include family friendly Maine campgrounds, outstanding BnB inns, luxury seaside resorts, and full-service hotels. There is no reason to leave your pet home. Choose from dozens of clean, affordable, Maine Pet friendly lodging options. Maine is a very pet friendly place. A visit to New England is not complete without experiencing an annual Maine event. From the southern Maine coast to downeast Maine and Aroostook county – plan your Maine vacation around a Top Maine Event. Maine Fairs are an annual tradition that will bring you back to a simpler life. Don’t forget to look for the Blue Ribbons in the display booths! Fryeburg Fair and other Maine Fairs feature live horse racing and track side wagering. A Maine Destination Wedding is a fantastic way to celebrate. Beachmere Inn, ViewPoint Hotel, The York Inn, Sebasco Harbor Resort, Samoset Resort and the fabulous Cliff House Resort are just a few of the amazing Maine Wedding Venues available. Get healthy and stay healthy with a visit to a Maine YOGA Retreat, health club or fitness center. A Maine health club or yoga retreat is an ideal place to leave your stress behind. Nightlife in Maine is livelier than you would imagine. Most Mainers love music, art, dancing and fun. Find out where to go when the sun goes down in Maine. 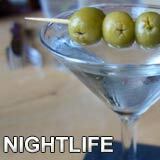 Find our favorite Maine Nightclubs. The annual summer live theater performances at Ogunquit Theater, Hackmatack Playhouse, and Arundel Barn Playhouse are always something to look forward to. Watching Sally Struthers and the amazingly talented actors and actresses that perform in Maine is a very special treat. 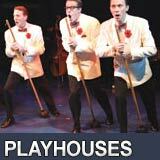 Support live theater – and sample as many Maine Playhouses as you can. Invest in Maine. 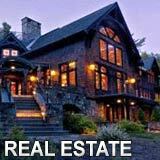 Our suggested Maine Realtors, Real Estate Agents and Realty companies know Maine and can save you time and money when your shopping or selling Maine Real Estate. From seasonal Maine cottages for sale to luxurious Maine mountain homes and oceanside estates – find your piece of paradie right here in Maine. Maine offers BnB lodging accommodations for every travel budget and lifestyle. 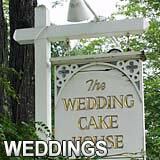 Our suggested Maine Innkeepers offer world-class hospitality. Browse the best Maine Inns and contact the innkeepers direct for the best lodging value – thanks for mentioning MELIVING when you call. The casual Maine roadside restaurants are sometime simply sensational. Food trucks in Maine can serve some of the freshest, sweetest seafood on earth. 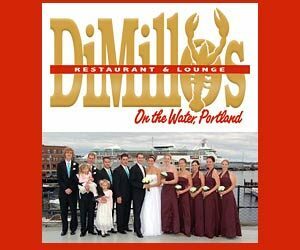 The Maine Diner, DiMillo’s Restaurant, Kennebunk Inn, Stone’s Throw and others locally owned Maine restaurants are legendary. 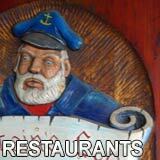 The highlight of your Maine vacation will be your visits to our casual Maine restaurants. The Maine beaches, hiking trails, waterparks, fun parks and animal parks are just some of the fun that awaits you in Maine. Outdoor attactions and indoor activities are available in every region of Maine. The Maine Attraction Guide includes dozens of Maine adventure ideas and places to visit. The York Zoo in southern Maine is a great way to spend the day – this seasonal animal park is easy to get to and fun for all ages. John Lane’s Ogunquit Playhouse and other Maine Theaters offer live performances in unique settings. The Maine Living Maine Events Calendar features Maine Fairs, Expositions, Annual Events, Live Theater, and Attractions. 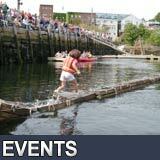 Check our Maine Event schedule and plan your Maine vacation. 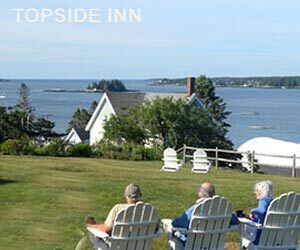 Maine Oceanfront Lakeside Resorts are world famous – Beachmere Inn, the Cliff House Resort, Samoset Resort, The Dunes On the Waterfront Resort, Spruce Point Inn, Noantum Resort, Meadowmere Resort, Bar Harbor Inn, Poland Spring Inn, Black Point Inn, ViewPoint Hotel, and others. Explore our great Maine resorts. It’s easy to travel to Maine with your pet. Our pet friendly Maine lodging will help you locate the ideal accommodations for you and your pet. Browse our Maine pet friendly lodging favorites. Naples, Maine is one of our favorite places to camp. The Naples KOA Campground is an annual Maine vacation tradition. Begin your own Maine tradition – explore Maine Campgrounds and RV Parks. Remember, Maine is Vacationland. Why vacation in a tiny motel room when you can rent an entire vacation home or summer cottage? Even if you have a small family or it’s just the two of you, a Maine vacation home rental can be the ideal accommodations – often for less money than you would imagine. Our Maine Vacation Rental homes and vacation rentals agents in Maine can assist. Browse local Maine vacation rental listings. Visit Maine for one-of-a-kind Boutique Hotel Accommodations. Maine Stay – it’s a Maine Thing. Experience Maine Boutique Hotels. Maine Lighthouses are simply magical. The beauty of Maine Lights is not far from anywhere along the rugged Maine Coastline. From Downeast to the Beaches of the Southern Maine Coast explore the Maine Lighthouses and the history of Maine Lights. The most photographed is Nubble Light, York, Maine. Find all Maine Lighthouses in our Maine Lighthouse Guide. 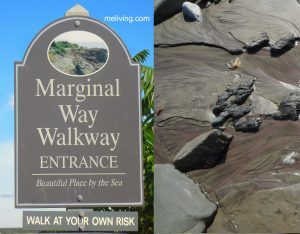 Visit Ogunquit Maine and take a stroll on Maine’s scenic ocean walkway called “Marginal Way”. There is nothing marginal about the sensational views along this paved oceanside path. Marginal Way was once an ancient American Indian path. View our Marginal Way photos. 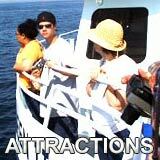 Make it to Maine for a wide range of fun activities. Maine offers Amusement Parks, Ocean Walks, Amazing Museums, Casino Gambling, Beach Fun, Art Museums, Whale Watching Boat Tours and a whole lot more. Check out some our our favorite Maine Vacation Activities. Visit a Maine State Park – a great way to spend your Maine Vacation. From Aroostook county to the shores of the southern Maine Coast – explore the great State Parks in Maine. Maine is a great place to live – many famous Maine celebrities can live anywhere in the world – but they choose Maine. Read about famous Maine people – from actresses to famous authors and writers and artists and more. Famous Mainers – from or living in Maine. Maine is massive – especially when compared to the other five New England states. Maine contains 16 counties and 488 incorporated municipalities consisting of cities, towns, and plantations. Explore Maine town photos and history – visit our Maine Towns section. There’s nothing quite Moxie – it’s distinctively different and very popular here in Maine. Read about the history of the soft-drink known as Moxie – which by they way is also the name of Maine publication. Maine and Moxie – distinctively Maine. A very busy place during the short, sweet summer months, Perkins Cove in Ogunquit is a great place to experience Maine. Explore Maine shops, made in Maine Candies, art studios and amazing restaurants. Perkins Cove is where lobster fisherman offer tours and sightseeing is a favorite past-time. Perkins Cove is also where the famous Marginal Way Ocean Path may be found. Native Americans gathered Maine Wild Blueberries in much the same way we gather them today – by hand. Find where you may purchase or pick Maine’s favorite fruit, the nutritious and delicious Maine Wild Blueberry. Visit south coast Maine and experience the one of Maine’s newest Boutique Hotels – Stones Throw. Just a stone’s throw from Long Sand Beach in York Maine. 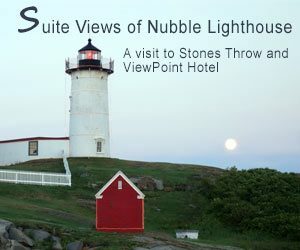 A favorite Maine boutique hotel, Stones Throw. A most unique shore bird of Maine is the Puffin. Read about this sought-after Maine visitor – called a Puffin. 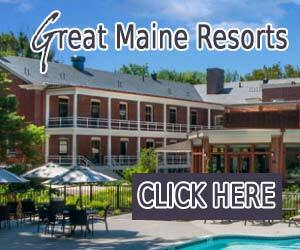 Visit the great inns and resorts of Maine. 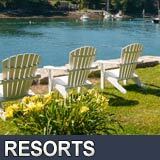 Maine Resort Vacations, Maine’s Best Inns. 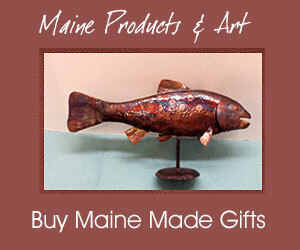 Shop for unique Maine Art and Made in Maine Products. Ski Maine – explore all Maine Ski Areas and Slopeside Winter Resorts. Spend a day skiing Maine. Maine means more than downhill – Ski cross-country in Maine. Maine cross-country trails provide winter fun for every member of the family. Featured in Google, Bing, NE Living Magazine, Search Engines & Travel Directories Worldwide.